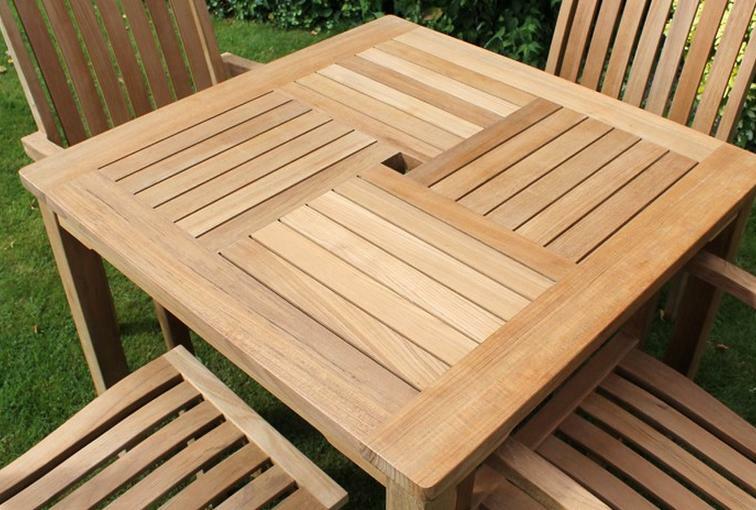 That’s why we specialise in A Grade Teak and Rattan Furniture for the outdoors – because it allows us to pass on the highest quality craftsmanship and beauty to you. Only the best will do – full stop. 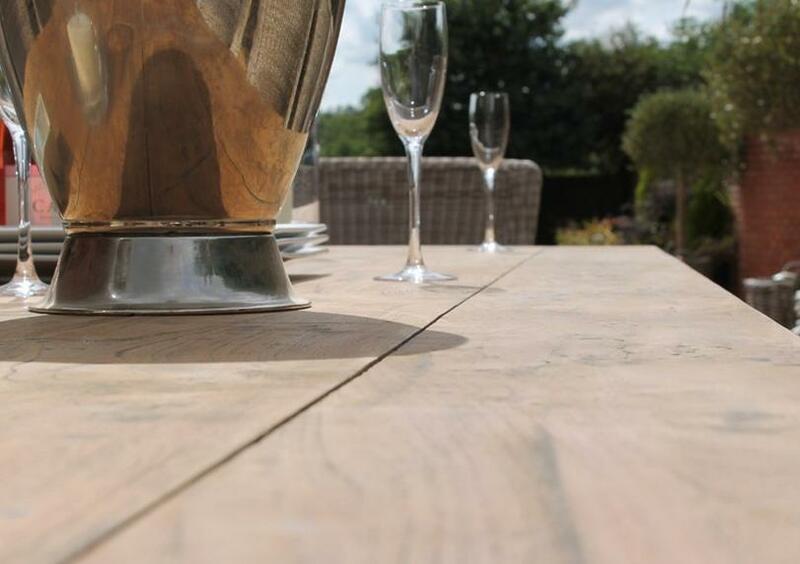 This is also demonstrated really well with our, York Dining Sets and Tables in Reclaimed Teak and Outdoor Rattan. Brand new to our range, the stalwart reclaimed teak table is finished in a superb black wash and sold in three chunky sizes – 2 metres, 2.4 metres and a huge 2.6 metres. 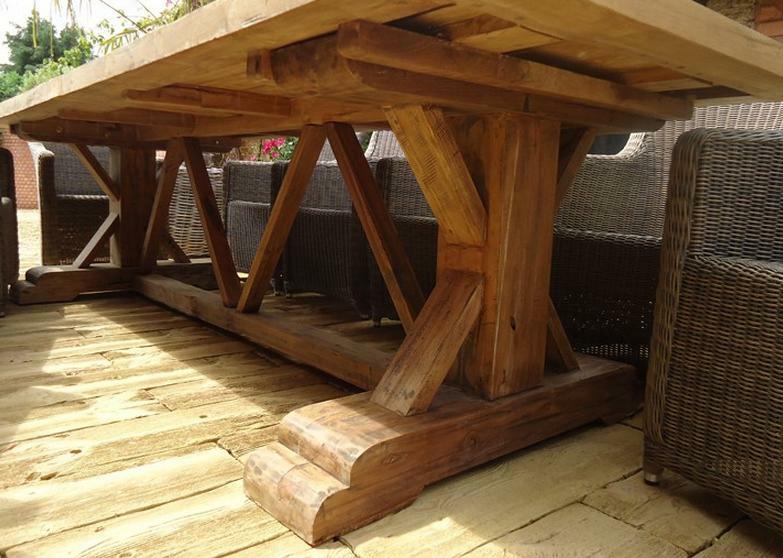 With thick, chunky legs and a double thickness top section, each and every one is hand finished with hand-cut, mortice and tenon joints and is further strengthened with bolted panels and teak rivets on the underside. The tight-knit grain that runs along the table top is, quite simply, to die for. And then, to finish it all off, we include a set of Seville Rattan Chairs from Kingdom Teak – our very own wholesale brand label. 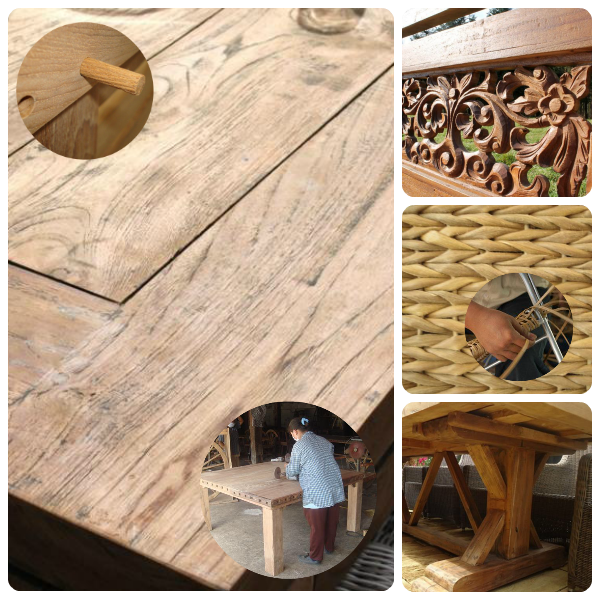 In twenty years sourcing teak and rattan furniture from overseas markets we’ve developed an eye for the detail – so we can spot cheap fakes a mile off. Our Teak Lutyens Benches, for example, show this off perfectly. 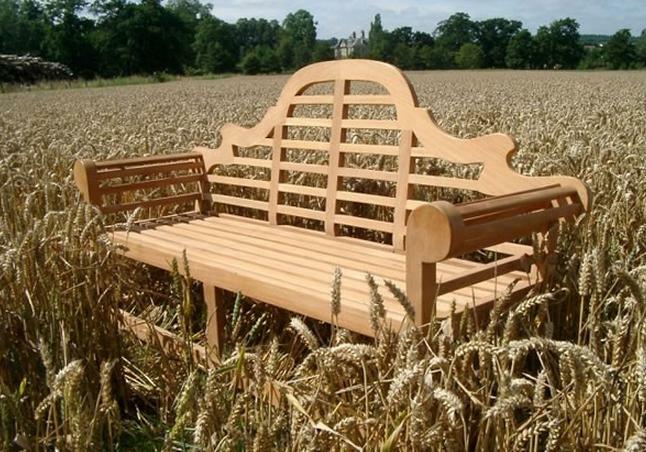 We could quite easily jump on the band wagon and accept lower quality and cheaper prices for this famous bench design. Instead, we look that little bit harder on our travels – and pay that little bit extra to our suppliers – for a hand-finished product to exact specifications that will look good and age gracefully over time.